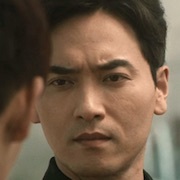 Na-Ra (Jin Young) is a university student and he has never had a girlfriend in his life. He wants to become a public servant. 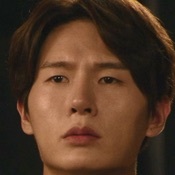 Jay (Yoon Park) is a popular magician mired in deep sadness. Joon (Nichkhun) is an intern at a hospital. He is poor, but he a has warm heart. These people gather at a magic school led by Master Han (Ryu Seung-Soo). Master Han has a daughter, Yi-Seul (Shin Eun-Soo), who wants to become a dancer and not a magician. ellie Apr 01 2019 8:51 am I dunno..I could never get into this one..in spite of good casting. Got7 Jackson's chick Oct 13 2018 4:40 am OmG. i didn't know about this drama.. i thought i already watch all Kdrama that Jinyoung was casted ?? Gonna watch it now~ ? Oinam Suchitra Jun 29 2018 8:08 am Omg for a moment I didn't recognized Nichkhun. Omg he is so good. I really like it. Keep up the good work. Carla Mar 27 2018 1:08 am Is this done guys? Tuan Mar 26 2018 6:06 am I really thought it’s gonna be Jinyoung and Eun soo lololol one of the reason why I watched. Risyacha Mar 20 2018 11:47 am This sitcom must be a jyp produced? Jenneevie Feb 27 2018 8:24 pm This drama is short, funny and sweet. Angela Feb 17 2018 9:50 am The wait was so worth it! I love the show’s take on magic! 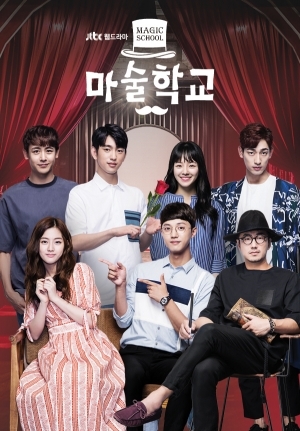 Plus Jin Young, Yoon Park and Nikhun!! !❤️❤️ Looking forward to more great episodes!! fatima Feb 15 2018 11:06 pm nichkhun oppa fighting! LaTasia G. Feb 14 2018 3:13 pm Fighting, Park Jinyoung!!! Congrats and work hard! Aghases lezzgetit Oct 18 2017 7:58 pm I hear Day6 on the background!!!! Excited!!! malcolm Sep 29 2017 7:09 pm Shin Eun-Soo seriously awesome young actress..
Karen Khoo Sep 16 2017 9:15 am Nichkhun in dramaland YESSSS! Also, congrats Jinyoung for getting the main lead! IGOT7luvv Sep 13 2017 5:44 am Fighting! !^^ Jinyoung oppa hwaiting!!사랑해요!?? #GOT7! # Ahgasae!!!!!??? 2PM, Nickhyun Oppa fighting!!^^??? FeiiJacky Sep 12 2017 9:02 pm Fightingg JinYoung Oppa!! … Excited and Cant wait to watch this drama!!! Also Nickhun Oppa 2Pm Fighting!! … #Got7! #Ahgase! ??????♥?? . Jane Sep 11 2017 7:38 pm Jin Young oppa <3 .. I'm hoping to see you in many dramas soon :) fighting GOT7!!!! Lv Sep 10 2017 8:50 am Whats the soundtrack title. I love hearing it. Fighting oppa Nichkhun.. ??? Lee sam Aug 31 2017 8:56 am And after all got7's Jinyoung is there so obviously it will be a huge hit..…keep doing great got7?